Create innovative spaces with lightweight and expandable Parametre 3D-textile systems. This easy-to-install flexible textile can be used in a variety of residential or commercial applications – partitions, window treatments, dividers, screens, wall hangings, wall coverings, decorative paneling, light diffusers, ceilings, and more. 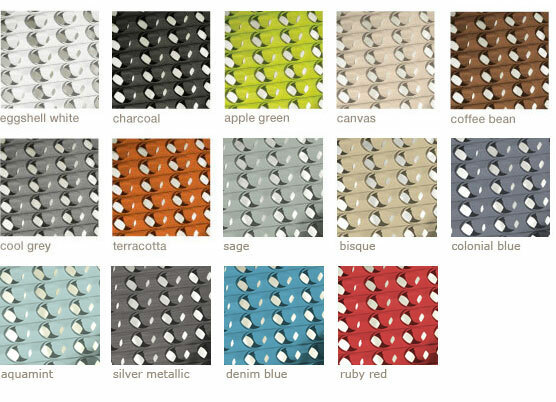 Parametre is made of 100% non-woven polyester available in fourteen standard colors. Parametre is available in three patterns and sizes up to 14' x 14'. Industrial strength magnets, supported by anchors, allow for easy installation. Installs simply with a drill and a screwdriver. Class A Fire Rated, UV treated for interior use. Anti-static, cleans easily. To discuss samples, ordering, or additional information about 3form Studio products contact a 3form Studio sales representative.